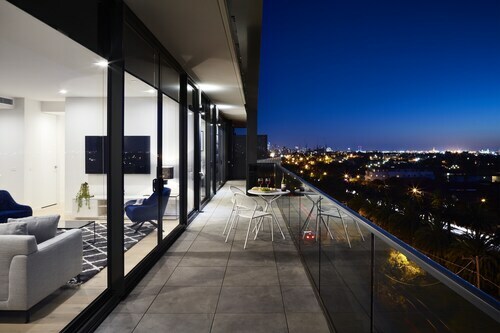 Situated near the airport, this luxury apartment building is 1.9 mi (3.1 km) from Moonee Valley Racecourse and 2.7 mi (4.3 km) from Royal Melbourne Showgrounds. Flemington Racecourse and Highpoint Shopping Centre are also within 6 mi (10 km). Glenbervie Station is 20 minutes by foot and Essendon Station is 18 minutes. Heading to Melbourne but the big city buildings don't take your fancy? Just 20 minutes from the CBD of this hip and happening city, Essendon is way more ‘laxed. Most famous for being home to the Essendon Football Club, one of the most successful AFL teams in Australia, there's still heaps of shopping to entertain the ladies. 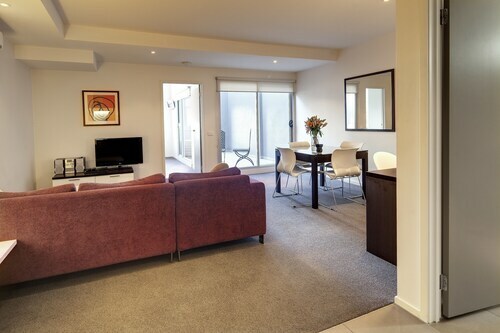 Forget about Melbourne's bright lights and book your Essendon accommodation with us now! If you're a crazy Bombers fan, then you'll revel in the chance to live up to your fan status at the home club on Windy Hill. Stop in for lunch at the Terrace Bistro, catch some entertainment and linger through the afternoon with a few cold ones or wines at the Lounge Bar. Just don't forget your Bombers scarf and jersey to really say it loud and proud – though this is the perfect place to buy more! To really indulge your inner sport fanatic, take a tour of the Melbourne Cricket Ground (MCG) or the Roman amphitheatre-style Etihad Stadium. Get organised in advance and you can even catch a game while you're here! If you're not a Bombers fan and football doesn't excite you, how does shopping sound? At Essendon Direct Factory Outlet (DFO), there are heaps of racks and shelves to scour your way through. From new season buys to bargains at up to 70% off, the best souvenirs are for wearing not staring at. For shopping that's a little more local, check out the Essendon Fields Shopping Centre, which has 15 speciality stores and a supermarket. Then head to the North Essendon Village Farmers Market. Why not pull together a picnic hamper to take to a local park? Think fresh breads, deli items, homemade smallgoods and tasty fresh produce. There's nothing more delicious than that! If it's adrenalin-pumping action you're into – or if you're willing to go through that for the views – head to the Essendon Airport. From here you can catch a Jet Fighter Flight, Supersonic Flight or Warbird Adventure flight for some extreme speed, aerobatics or military combat manoeuvres that you'll love. It's worth it for the views across the entire city! 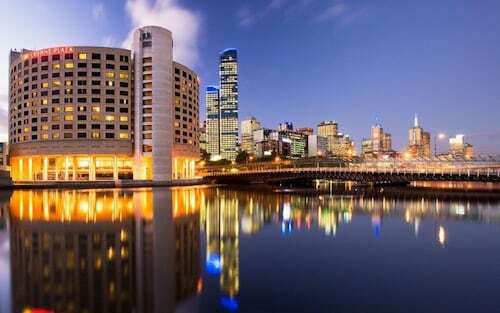 The faint-hearted can instead opt for a ride along the river on a Melbourne Water Taxi, which can pick you up from Canning Street and tour you around the waters. A stay in Essendon has the potential for sky-high adventures, bargain shopping finds, and the chance to act out your Bombers dedication at their home club. And it's still just 20 minutes to the Melbourne CBD! Get booking your Essendon hotel with us below. 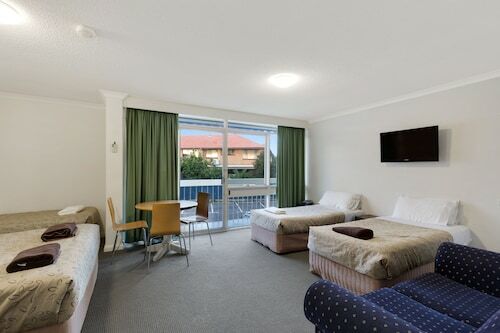 How Much is a Hotel Room in Essendon? 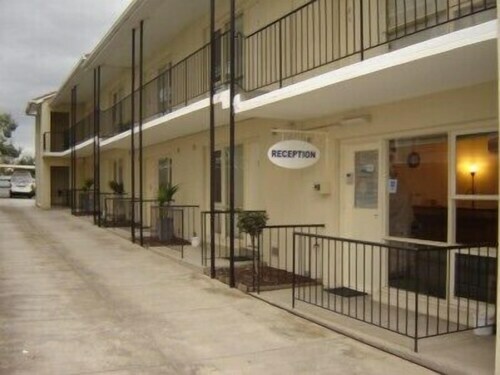 Hotels in Essendon start at AU$101 per night. Prices and availability subject to change. Additional terms may apply.